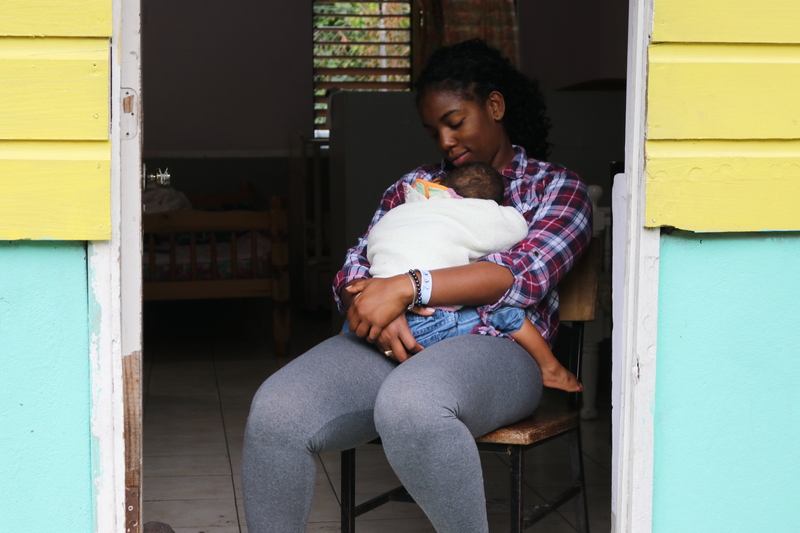 When I got my acceptance letter to go to Jamaica with Mustard Seed Communities, I was excited and for the first time in a while, I was starting to see exactly how God does the things He does. I tend to wrestle a lot with the concept of time. I feel like although I like to plan things down the second I’m often bound to poorly made plans and last minute decisions. I quietly pray to God about it and ask him to just tell me what to do and where to go, but only accepting it if it’s at the time I think is right. Naturally, He always works without giving me any of the answers I asked for. However, when I got my acceptance letter to go to Jamaica with Mustard Seed Communities, I was excited and for the first time in a while, I was starting to see exactly how God does the things He does. I’ve been on service trips in my school career. At the time I applied to go to Jamaica, it had literally been years since I’d done any of that kind of work. Why? Well… I spent the better part of about three years struggling with deep depression and anxiety. I call it “The Fog.” “The Fog” prevented me from seeing and engaging in almost everything I loved to do - learning, working, being around people and of course, service. In a way, reading the acceptance letter felt like coming back from a long trip to a “Welcome Home!” banner. I spent the next several months trying to prepare myself, but with attempts to get ready there was great difficulty. I was nervous. I had this persistent feeling over those few months that it wasn’t even real. I kept thinking something was going to get in the way last minute and just bring it all back to square one. Aside from that, every effort to raise money failed, until I finally was given a huge donation - one day before the deadline. I remember crying that day because I was just so overwhelmed with emotion. Things began to look up after that and soon it was midnight and I was on my way to the airport. After a long flight filled with every single emotion a body could hold, my team finally arrived in Kingston. We got to Sophie’s Place, and almost immediately I was drowned with the feeling of being inadequate and unable to provide the residents with what I thought they needed. It wasn’t until two days later - New Year’s Day, when we had absolutely nothing planned but to stay and hang out with the residents at home site that it dawned on me that just being present, and fully present, was more than enough. I didn’t need to have any particular skill set. I didn’t need to know everything about everyone on site. I didn’t even really need to know their often troubled pasts. All I need was to just be there with them in that time. And I did! During that week I couldn’t be troubled to keep up with what was going on at home, when Tiara wanted to play Go Fish. I was less frequently scrolling through Instagram, when Chrisagaye was teaching us sign language. There was no way I was stressed about missing holiday parties, when Noella was smiling, or when Raheem was in my arms. Minor setbacks meant nothing if it meant I was listening to Shanice sing, or if I just got one more round of “Policeman” in with Leo. No way I could even think to complain about anything when Courtney’s mom travelled miles to be with him, when Moses was dancing during devotionals, or when the aunties were up long before the sun was, just to make sure everyone was taken care of. You’d have to have been to MSC to understand what happens to you over the course of your stay. What you think the week will be - especially if you’ve never been there before - will completely shift as the days go on. One of the biggest lessons you will learn and the only promise I will make before you head out there is this: you can do so much with so little. You learn this from your residents. You learn it from the surrounding community. You definitely learn it when you realize how much stuff you need to fit into a single suitcase. Strip yourself of what you think you know, even if you’ve visited in the past, and just be where your feet are. Challenge yourself to let go of luxuries of your daily life - you will quickly realize how many there are. It wasn’t until I was just a couple of days before leaving that I realized that I had grown incredibly attached to everything and everyone, and I mean that quite literally. It’s hard to leave behind a place like Mustard Seed and come back home the same as you were when you left. This place took my heart and reformed it, and rekindled a fire in me that, up until that point, I thought I had lost for good. There are things I encountered during the week that made me realize that we think we need many things, but there’s only one that we actually need. You know what we actually need? Love. And it’s the only thing that is in every single place. I saw it at Sophie’s Place. I saw it at Jerusalem and Jacob’s Ladder. I couldn’t miss it at My Father’s House, at Mary’s Child and at Matthew 25:40. If you’ve never had a chance to witness true, deep, pure and communal love, go there. You will. I remember saying that the genuine love that I encountered at Mustard Seed was absolutely nothing like any other that I’ve ever felt. I remember feeling so fulfilled. I remember feeling a different kind of happiness that just kept consuming more of me through the week. Now, I look back and realized that everything I had experienced through the whole journey were all pieces of a puzzle. All the trouble that I had gone through to find those pieces and put them together were part of a huge plan. One that I started out wishing it could come sooner, but quickly became grateful that it had been at the time it was.. If it weren’t for God leading me in that direction - at that perfect time - I would not have met the people I did, many of whom I still remain incredibly close to. I’m grateful for having been where I was, exactly at the time I was supposed to be there. I’m excited to go back, to say the least. I’m thrilled to see what has changed and to see how much everyone has grown and what they’ve learned. I’m excited to just stop my daily life and be present in a moment. No planning, no thinking ahead, no wanting to be elsewhere. Just me and my friends down at Mustard Seed taking it day by day. So now I’m here, ten months since my last trip to Mustard Seed and two months away from my next one. I’m here telling you that nothing is the same after you leave. You think a little differently. You have incredibly fond memories of your time there. These are the things that you bring home with you. These are the vivid memories you make that you’ll never stop talking about, although your friends and family probably wish you would. These are people who you will think about for just a minute and cry every single time. There are parts of this trip this will hurt and just break your heart. There are parts of this trip that you may honestly think you could live without. But there are other parts that you beam about every single time you look at a picture or answer a question from the students who’s considering making the journey. It’s so important to remember it all as part of the experience. Take it all in. Allow yourself the privilege of being where your feet are. You deserve it. The residents, who quickly become your forever friends, also deserve it. And they will thank you every time.